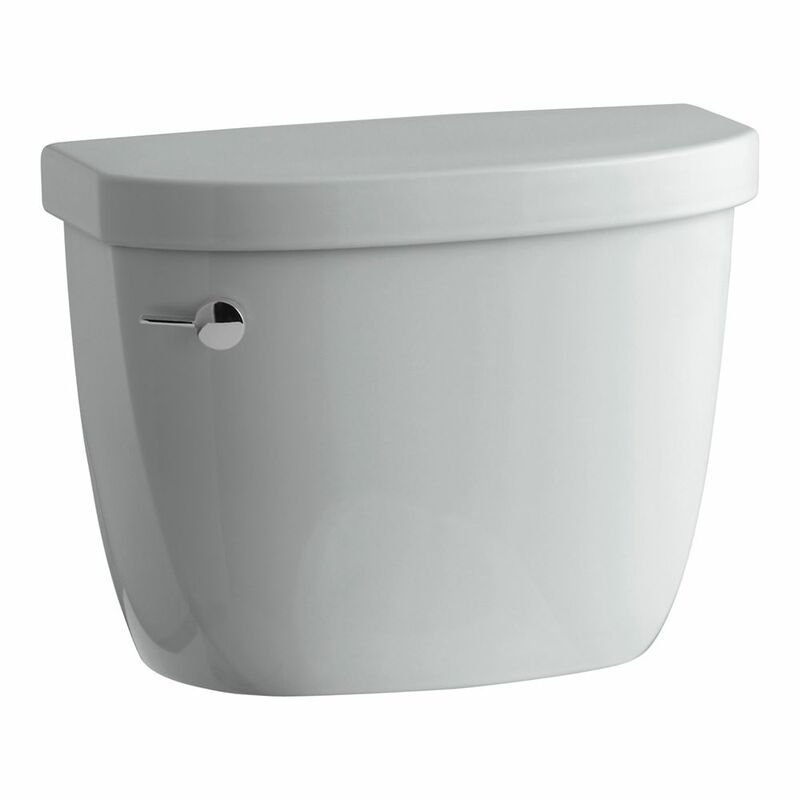 This toilet tank combines water efficiency with the versatile style of the Cimarron collection. A 1.28-gallon flush provides significant water savings of up to 16,500 gallons per year, compared to a 3.5-gallon toilet, without sacrificing performance. This tank features innovative AquaPiston technology, a patented flush engine that delivers a fast, powerful, and virtually plug-free flush. An insulating liner helps prevent condensation on the outside of the tank. Pair this tank with the K-4309 bowl for a complete toilet. Cimarron 1.28 Gpf Toilet Tank Only With Aquapiston Flushing Technology In Ice Grey This WaterSense(R)-labeled tank combines water efficiency with the versatile style of the Cimarron collection. A 1.28-gallon flush provides significant water savings of up to 16,500 gallons per year, compared to a 3.5-gallon toilet, without sacrificing performance. This tank features innovative AquaPiston technology, a patented flush engine that delivers a fast, powerful, and virtually plug-free flush. Pair this tank with the K-4309 bowl for a complete toilet. Cimarron 1.28 Gpf Toilet Tank Only With Aquapiston Flushing Technology In Ice Grey is rated 4.7 out of 5 by 3. Rated 4 out of 5 by HomeProjekts from Very easy to install, also very quiet in operation. Very easy to install, also very quiet in operation.